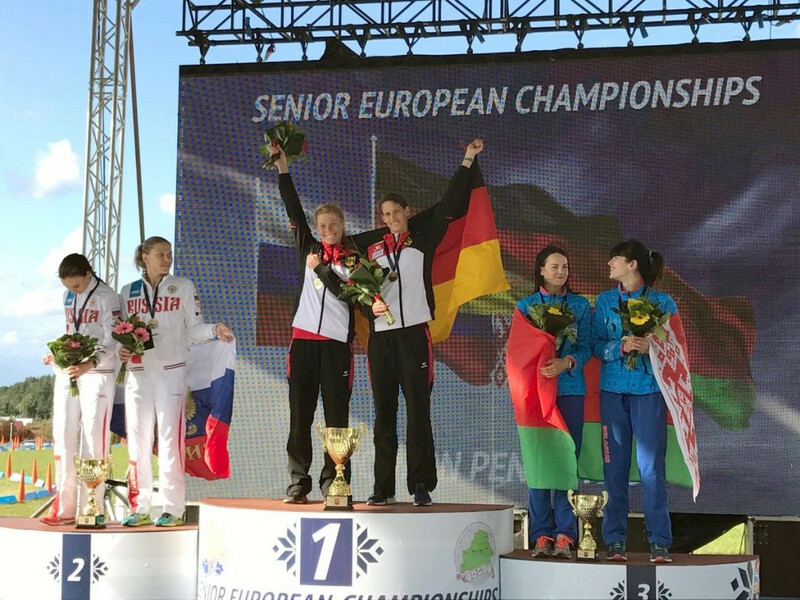 German world champions Lena Schoneborn and Annika Schleu produced a superb run-shoot to win team relay gold at the European Modern Pentathlon Championships in Minsk today. The duo lay in third place after the fencing, swimming and riding sections only to rise up the leaderboard. Their run-shoot time of 11min 53.10sec proved enough for a total score of 1,389 points. Russia's Alise Fakhrutdinova and Anna Buriak, the leaders heading into the concluding event, took second place. They finished an agonising two points behind on 1,387. Tatsiana Khaldoba and Katsiaryna Arol of Belarus took a home bronze on 1,339. Schoneborn and Schleu claimed world relay titles together in 2012 and 2016. Schoneborn is also the Beijing 2008 Olympic champion. The men's relay is scheduled to take place tomorrow.